The simplest way to describe self medication is the intake of drugs without prescription from a medical personnel. 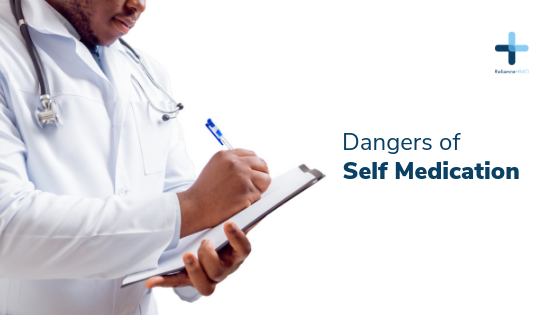 Its appalling that many Nigerians see no harm in self mediation, soon as any symptom surfaces they resort to self medication; in as much as not every ailment needs a doctor, there are some very clear dangers to be aware of when self medicating. We all know that certain drugs can cause dangerous interactions when taken together, but some people either don’t take the threat seriously or they’re simply ignorant when it comes to science. The rules of science always applies, don’t risk your health by combining drugs that could have adverse effects. Essentially, you should know that some drugs interact with each other and can cause negative effects. Drugs do not only act based on their active ingredients, but also on the characteristics of the user. For example, if someone just had surgery, taking a basic pill such as aspirin can cause haemorrhage due to its anticoagulant contents. So many other drugs with different properties can cause different ailments such as ulcer, neurological disorders and what not. Regardless of the dose, and although they do not occur in all people, many drugs can have adverse or unwanted effects. Although, these drugs are prescribed to cure ailments, some drugs have expected side effects, such as dry mouth or insomnia. Medical personnel usually make sure their patients are well informed. Therefore, individuals should avoid self-administering drugs if they do not have sufficient information. Otherwise they may experience unexpected and harsh side effects. Antibiotics can cause an increase in the mass of bacteria if administered wrongly or without supervision.This can sometimes strengthen infectious agents rather than subduing them. Such antibiotics should be taken only when prescribed and this is only one of the legion of drugs that are available for self medication. Some drugs can cause poisoning if you overdose; for example, benzodiazepines can cause drowsiness and respiratory problems if administered wrongly. Antidepressants cause severe poisoning, with a disturbed heart rate and seizures, while anti-inflammatory can cause gastric discomfort and kidney failure in cases of overdose or inappropriate use. Prescription and over-the-counter drugs can and will cause addiction if taken inappropriately and constantly for a long duration. Benzodiazepines, which inhibit the central nervous system, and codeine-based antitussives can cause addiction problems, even if the patient was initially unaware of their addiction. Use of these drugs should be strictly supervised by a doctor. Finally, an individual who self-medicates does not always know the proper dosage of the drug, its strength, its composition, how it needs to be taken, and its side effects or interactions, if any but now you know, so spread the gospel and subdue the ignorance and nonchalance.